Malaga is a Spanish coastal City belonging to the Community of Andalusia. It has about 572,947 inhabitants, making it the sixth most populous city in Spain. If you visit this city, we recommend seven places you must not miss. Malaga´s cathedral is the Holy Cathedral Basilica of the Incarnation, but is popularly known as “the Manquita”. Its designers were Diego of Siloam and Andres de Vandelvira and the building was completed in 1782. It is undoubtedly one of the must-see attractions if you’re in Malaga. Outside is spectacular, but inside will surprise you even more. The tour price is 5€ and you can visit the main areas, the inner courtyard and a small museum. A building built on the rock (palatial fortification) in the Muslim era around the eleventh century. Precious intimate gardens, Roman, Arab and Castilian arches, mysterious walls, indoor fountains … all offer peace and tranquility while you´re strolling within its walls. The normal cost to enter is €2.20, but on Sundays from 2.0pm it´s free. If you go to Malaga this is a must-see, but do not go on a Monday as it´s closed. The port of Malaga is a sport fishing, commercial and passenger cruise port. 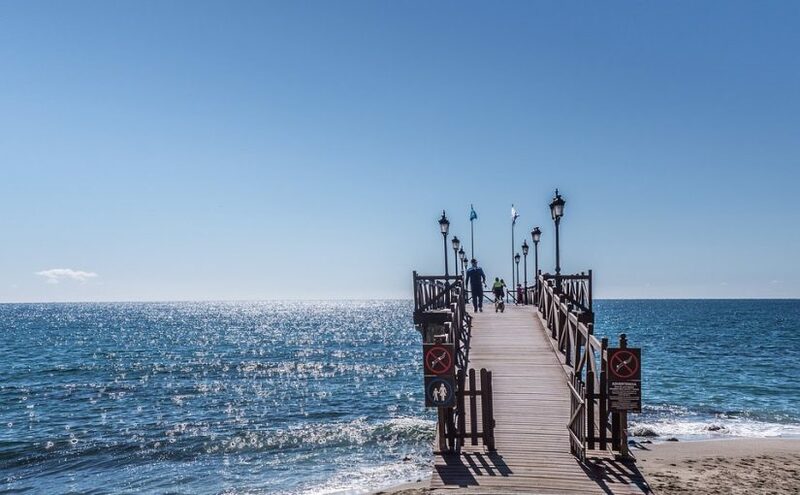 You can stroll along the promenade and enjoy the sea breeze and the pleasant temperatures (the average annual temperature of Málaga is 19°C). In recent years it has become the third stop off for the Mediterranean cruise. 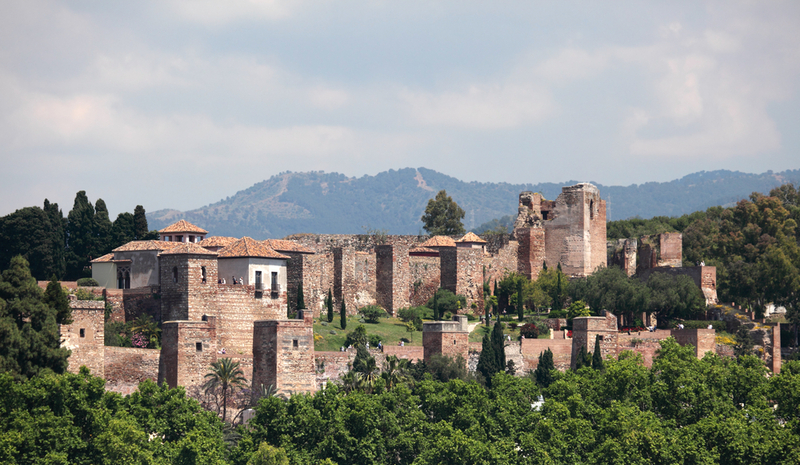 If you visit the Alcazaba, it is a must that you go to Castle Gibralfaro. The castle was built in the fourteenth century to house the troops and protect the Alcazaba. The castle consists of eight towers and two walls is divided into two parts: the upper and lower. The ‘upper’ is the main courtyard where there is the biggest tower at 17 metres high and the Phoenician well and bathrooms. The ‘lower’ castle is the courtyard, where the troop barracks and stables are. We recommend paying the entrance of the Alcazaba and the Castle of Gibralfaro together. To get there, you can drive up with your car or jump on the line 35 bus that drops you at the door. After seeing the castle, you can walk down to the Alcazaba. After leaving the castle you can stop at the Parador Malaga where you´ll enjoy spectacular views of the entire city. Finally, you can not miss the parque de Málaga. An extraordinary place to walk between the port and the cathedral that will let you feel peace and tranquility. You can also see a variety of trees and vegetation from all over the world. It covers an area of over 30,000 square metres and has three 800 metre walks. Don´t you know what to do in Malaga? This city has many fantastics places to visit. We give you some ideas, enjoy the andalusian Spain and its secrets.